The Wuling Hongguang dominates the Tagong car landscape. 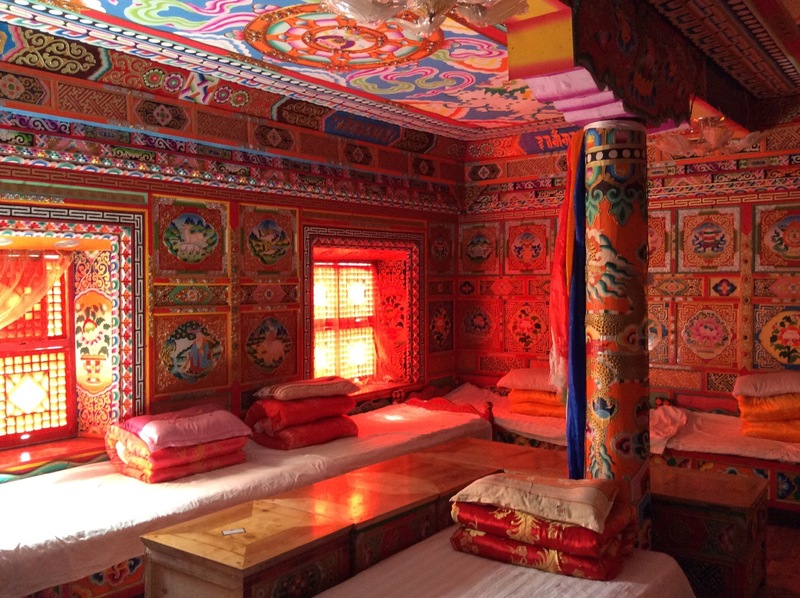 This is the 12th and last instalment in our 2016 Chinese adventures after Beijing, Xining in the Qinghai province, the Chinese car dealerships of Xining, Tongren, Xiahe in the Gansu province, the mountain road back from Xiahe to Xining, Chengdu in the Sichuan province, Kangding, the Kangding to Dégé road, the Chola Pass and Dégé. 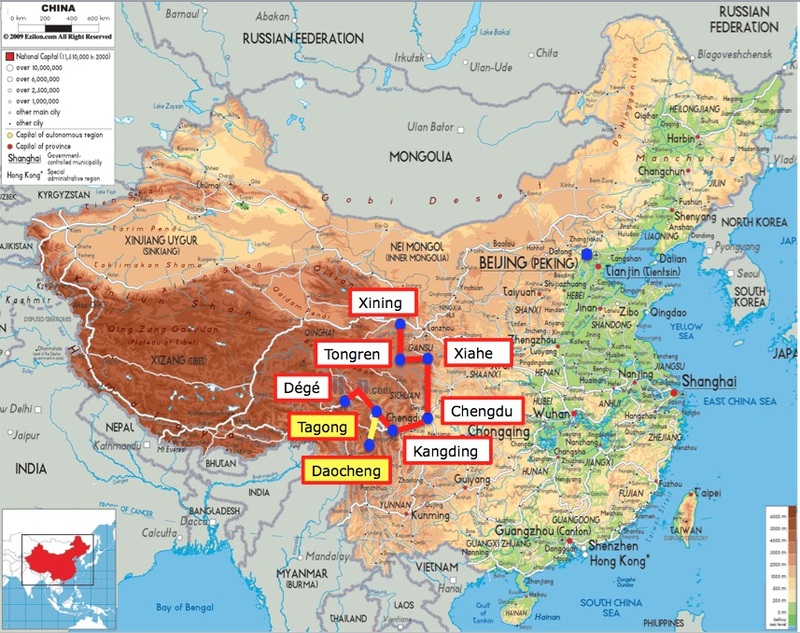 Location of Tagong and Daocheng in China – connected with the yellow line. At 3.700 metres altitude (12.139 ft), small Tagong (aka Lhagang) is home to just under 9.000 inhabitants. It is surrounded by stunning grasslands and monastery galore. This is the county of yak butter tea and mani stones carved with the mantra of Buddha’s path. The Lhagang Monastery and Ser Gyergo nunnery lost in the grassland are two of the main attractions here. Getting to the nearby Daocheng Yading Airport isn’t a very easy task: first I need a private minivan to get me to Kangding Airport 50km away, then a very short flight lands me at Daocheng Yading, the highest civilian airport in the world, altitude 4.411 metres (14.472 ft). The previous record-holder, Qamdo Bamda Airport is also closeby across in Tibet at 4.334 metres (14.219 ft). The airport is less than 3 years old as it opened in September 2013. It cuts the journey time between Daocheng and Chengdu to one hour, instead of two days by bus… There, it’s an armada of new gen VW Jetta taxis that are waiting patiently in the airport’s parking. This report concludes our 2016 China Photo Reports, we hope you have enjoyed travelling with us as much as we did exploring these places and writing about it. The Photo Report continues below with a total 20 pictures.